The failure of human resources (HR) departments to understand how a business works is one of the most common reasons why HR IT projects fail, delegates at HRTech2012 heard. 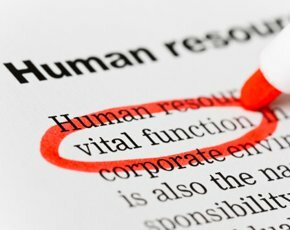 Most HR heads do not really understand how their business makes money, and that can lead them to make the wrong IT choices, said HR technology consultant and author Naomi Bloom. She urged HR leaders to work more closely with IT departments to avoid buying systems that do not meet the needs of the business. “I have seen a large number of HR executives lose their jobs over making poor decisions on HR systems,” she told the audience. It is very easy to be taken in by flashy demos from suppliers, a failing that cost one head of HR of a major company his job, said Bloom. “They allowed software sales people to demo what they wanted to demo. They did not write any scenarios to say 'this is how we want to run our business. Show us how',” she said. Worse, the company agreed to take an untested beta version of the software, when it was not geared up to be a beta tester. “There is not a supplier out there that cannot gin up a usable demo and make it look fabulous. You don’t know how much work went into it, and how much of it is real,” she warned. Businesses need to be particularly careful when moving to HR software as a service (SaaS), said Bloom, because no product in the cloud is a genuine SaaS. “There is a lot of rubbish in the cloud,” she said. Genuine SaaS allows suppliers to keep their product upgraded, and in line with the latest HR regulations, without major cost to the customer. But many cloud-based HR systems exist in multiple versions and multiple instances, which are difficult and expensive for suppliers to maintain, she said. It is inevitable that cloud-based software will rapidly replace much of the traditional on-premise HR software currently in use. “We know we are moving to SaaS when Larry Ellison says cloud is here,” she said. But large suppliers need to move their customers to cloud-based software products gradually, in a controlled way, to protect their own business, she said. “If I was one of their existing customers, I would want to make sure I get a good deal for moving to SaaS, because my licence fees are paying for its development,” she said. IT departments can feel threatened when businesses move HR software into the cloud, but it is vital that the two areas work together, she said. “Don’t make another move, without being joined at the hip,” she said.